Noni Juice. The Anticancer Connection. The word cancer can strike and almost immediate fear down to the inner-being when spoken, especially if it comes from ones own doctor. Until recently, cancer has been known as a death sentence for centuries despite the ongoing fight against this devastating disease. There have been numerous references found in ancient text, as well as, evidence from early human remains confirming the existence long before if was officially defined in the 1800’s. Today, the medical community know cancer cells are produced in your body everyday, and it’s your immune system that eliminates the mutated or malignant cells before they have a chance to create deadly havoc in your body’s vital organs. This is due to the nature of a cancer cell that loses it’s “self marker” that would normally identify it as part of your body’s own cell. Thus, a healthy immune system would kill the rouge cell before it had a chance to duplicated out of control. But, when the body doesn’t recognize the rapid reproduction of an unhealthy or damaged cell it develops into a tumor called cancer. The result is a mutated cell that overcomes one organ moving on to the next feeding on the organ’s energy supply to the point it spreads throughout the body until it eventually kills the host body. Since cancer starts out at the cellular level in the body, maintaing healthy cells in theory would put a stop the cancer cells from ever developing into a life-threatening disease. Since cancer starts at the cellular level in the human body, maintaing healthy cells in theory would stop cancer from ever developing into a life threatening disease in the body. Noni juice can play an important role in aiding the body. This is because Noni fruit contains a biochemical compound called “proxeronine” that is believed to stimulate the body’s production of “xeronine.” Clinical research dating back to the 1950s shows this unique compound, as well as, the production of other important chemicals could repair abnormal cells and aid in keeping normal cells healthy. Several compounds in Noni juice are throughout to aid in strengthening the body’s immune function by stimulating anticancer activity in the body’s own natural defense system. As mentioned earlier, proxeronine found in Noni juice (Morinda citrifolia L.) is believed to stimulate the production of xeronine in humans, as well as, other mammal species, like dogs and cats. Noni is also believed to aid in the body’s production of nitric oxide. It has recently been identified as an agent known to regulate blood pressure, while also fighting cardiovascular disease. In addition, nitric oxide has been show to eliminate microbial infection. The production of nitric oxide has also been seen in clinical studies to aid the body to overcome cancer cells. How? Nitric oxide enhances the immune cell activities interfering with the DNA synthesis of cancer cells causing them to self-destruct. 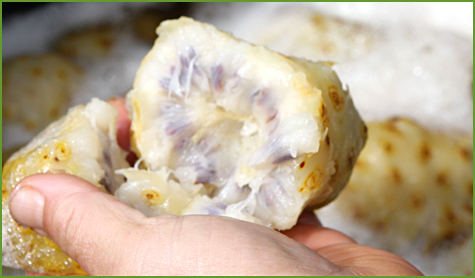 Another key element found in Noni juice is damnacanthal. 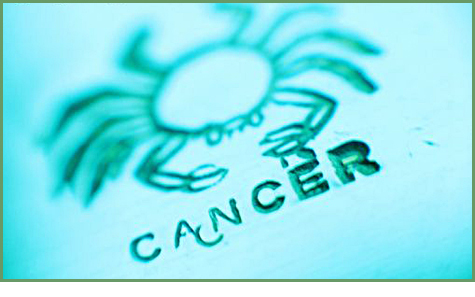 It is believed to block the cellular function of RAS cells considered to be the birth place for pre-cancerous cells. Clinical research has shown Noni’s powerful and devastating effects on cancer malignancies and it’s damnacanthal thought to link Noni juice’s cancer fighting properties. How does damnacanthal work? It’s thought to assure cancer cells that they are healthy, halting or slowing down rapid cell multiplication that is cancer growth. In conclusion, regular consumption of Noni juice combined with a healthy balance of food along with regular exercise, just might keep you from ever hearing the word cancer in your body from your physician. It’s great to be alive today! We are fortunate to benefit from modern technologies like the smart phone, computer, and a host of other innovations that today we couldn’t live without. Think about leaving the house without being tethered to your phone. Our modern technology has also changed the way we eat food and the quality and types we have to choose from. The new technology revolution has also influence the way we live in cities, suburbs and in the wide open country spaces. Along with the many benefits we receive, but there is a consequences that are slowly killing us. There are now more toxins in the vital air we breathe, the water that comes into our homes we drink, and even the soil we grow our food supply where we get nourishment found in vitamins and minerals. Many parts of our modern living thought to be acceptable, such as, the consumption of alcohol, sugar, salt and convenient fast food in many ways has a toxic effect in our bodies. The result of stress, exposure to harmful environmental toxins, our dietary and exercise habits, along with our ever increasing dependance on pharmaceuticals to get through another day has caused a serious health epidemic. On the flip side, scientists and medical doctors have learned and discovered new methods to treat emerging and existing health challenges. It has become important to develop and use better health strategies to counteract many of the negative effects modern living has brought to our bodies. Incorporating medicinal plants like Noni juice is one of many strategies you can use to aid your body at the cellular level to remain healthy and thrive in life. In the past 100 years, humans have made amazing advances in the field of medicine that has helped us to live longer and maintain a quality of life never been seen before in history. It goes back to our first insights into human anatomy to the discovery of powerful antibiotics like penicillin, to the first heart transplant. But, it all comes at a cost. Many people are discovering that mainstream medicine does not always give us the best options for complete treatment for some chronic illnesses without adding other harmful side-effects. We live in a country that seeks the quick fix to coverup and medicate the symptoms without examining the “whys” of the disease. We all want a cure-all in the form of a pill. Not a new idea, opiates for example have been used to treat pain that goes back to the ancient Sumerian times. In the end, it comes down to you and the choices you make. One of the most useful benefits that comes from incorporating natural medicines like Noni juice is that it allows you to take responsibility for your own care before you get sick. What makes natural medicinal products appealing is the core belief that nature can provide us with just about everything we need to maintain good health. Not like modern synthetic drugs invented to aid in a specific health condition that works from the outside inward, all natural products like Tru Noni juice aid the body to heal from the inside outward. And that’s a good thing. It’s long been known the most effective way to maintain good health is through a blend of both traditional and holistic methods that include a proper balanced diet, regular exercise, natural supplementation and sufficient psychological support. To aid your body’s prevention of disease and sickness, you must treat the whole and not just the parts. Noni juice (Morinda citrifolia) is a proven and powerful dietary supplement that can enhance your health on its own, but Noni’s effect on the major systems in your body including the immune, circulatory and cardiovascular systems are even more profound when incorporated into a complete overall strategy that includes your mind, body and spirit. Choose healthy foods to eat. That may sound like a no brainer, but in today’s world, it gets harder and harder to find foods that aren’t processed or chemically preserved. In the long run, it’s also best to reduce your fat intake, as well as, sugar, caffeine and alcohol. Exchange them with plenty of fruits, vegetables and whole grain products. Consider replacing processed foods with natural whole foods. Be mindful of portion sizes and snack on healthy foodstuffs like nuts, seeds, and fresh organic produce. Also, switch to monounsaturated fats like olive oil and try to incorporate flax-seed oil on a daily basis. Exercise daily. Get up and walk or do any aerobic activity for at least 30 minutes a day. Add to your activity with stretches and strength training two to three days a week. Always consult your doctor or health care provider before embarking on any new exercise program. Practice healthy daily habits. If you currently smoke – stop. 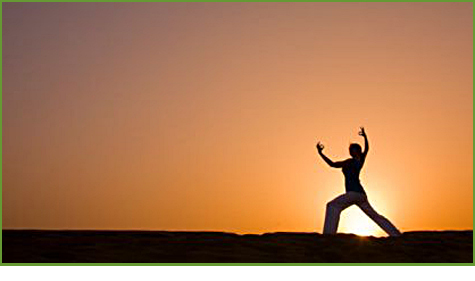 If you suffer from daily stress consider meditation, yoga, control breathing or a combination of them to relax. Start a gratitude list and add to it daily. Chronic stress has been shown to aggravate diabetes, heart conditions, PMS and long-term pain. Also, try to incorporate healthy sleeping habits. It’s best to get to bed at the same time every night and awake the same time in the morning if possible. Take a multi-vitamin and mineral supplement. If you choose not to take any other natural herb or supplement other then Noni juice, at the minimum you should consider including a multi-supplement in your daily routine. Detox your body. It does your body good to do some form of detoxification program every six months to a year. It’s recommended to get guidance from a trained professional or detox on your own with the aid of books and other resources you can find online. Always consult your doctor about any possible health risks based on your current physical condition. You can reach optimal health by just adopting these healthful suggestions along with pure Noni juice to maintain healthy function throughout your body. It’s true, we are all made from the dust of the earth. So it’s no surprise we need over 70 minerals from the earth to maintain maximum performance of each cell in our body. The problem arises in getting the proper amount of minerals from the food we eat. This is because the soil in which the fruits and vegetables are grown in are becoming more and more depleted from the necessary minerals for us to thrive and remain healthy. Most food we eat today now have less than 12 minerals out of the 70 that humans need to maintain proper function. Minerals are needed in our bodies for proper composition of body fluids, the formation of blood cells, and the support of healthy nerve function. Our bodies depend on minerals and the lack of a single one of them in our food can cause mental and physical trouble down the road. It’s important we become aware of the nutritional value of each type of food we consume and where it comes from if we want to remain healthy. 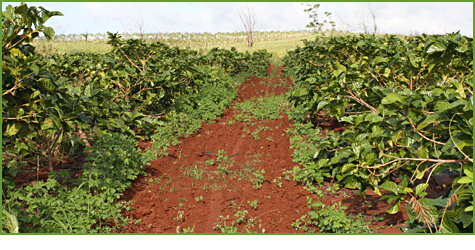 Noni fruit juice from Hawaii grows in some of the most abundant amount of mineral rich soil on the planet that makes drinking pure Noni juice important as a daily dietary food supplement. This is also true for everyone in your family including your pets who are mammals. The alarming fact is that the foods we eat are grown on millions of acres of land that no longer contains enough certain needed minerals compared to just 100 years ago. In fact, the food we eat today is starving us no matter how much of them we consume. The lack of vitamins in a diet, our bodies can make some use of the minerals, but if the food is without minerals, the vitamins in the form of natural products or pills makes them useless. Deficiency in any one of the important minerals is the gateway to disease in the body. Our physical wellness is dependent upon the minerals we take into or bodies, more so than do calories, vitamins, protein or carbohydrates we consume daily. One would think for example, an apple is an apple, yet it can be lacking in particular mineral elements that our body requires and which the apple is supposed to contain. In laboratory tests however proves that the fruit, vegetables, grains, eggs, milk, and even animal meats of today aren’t what they were just a few generations ago. We know today our diet must contain mineral, but where do we get them? It’s best to eat organic fruits and vegetables when you can find them because they are grown without chemical fertilizers, pesticides and nasty herbicides and have a larger amount of naturally occurring vitamins and minerals. Noni fruit grown in volcanic soil found in Hawaii passes to us through it’s liquid juice the required amount of minerals needed to help keep our bodies functioning at peak performance. Why is Noni juice a herbal medicine? Long before the mega pharmaceutical companies ruled the earth dispensing their own proprietarily blended synthetic compounds, there was all natural living herbs. Until 100 years ago, most humans around the world used herbs as the drug of choice. As the ancient people began to spread throughout the world, they learned over time through a process of trial and error the plants to avoid and the ones that helped them remain health and vibrant. We see this to be true with the ancient Polynesian people who through the course of their 3,000 year migration throughout the South Pacific Island chain the powerful health effects Noni created for the people in their villages. Noni plants were brought with the early travelers as they stepped out on faith into the great expanse of the Pacific ocean to find new Islands to colonize and expand. They developed new ways to preserve the healing compounds from Noni and other medicinal plants. This isn’t unique to the Pacific Islanders, that’s because most cultures have a basic intuitive knowledge passed up through the generations about local medicinal plants that can be beneficial to them and future groups to come. 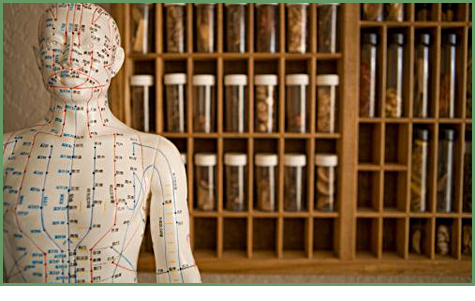 We are better understanding today what the ancient civilizations learned over centuries of daily use just how natural herbs can aid the body in recovering from illness is now being proven to be true by modern scientific researchers. Noni fruit for example, has been shown to increase the activity of the immune system through a unique combination of Polysccrides found in Morinda citrifolia, or as the Hawaiian named it – Noni. It also helps to fend off infection by viruses and bacteria intruders that might explain Noni’s cold-fighting power. Before your local CVS Pharmacy or Rite Aid existed, there was the herbal drugstore that included all of natures handy work with a complete array of medicinal plants to benefit humans. In comparison, the modern pharmacy specializing in synthetic drugs have become distant from its natural roots. Even if you look closely at most herbal product labels you find in your local health food store, the herbs they tout as having many health benefits have but little resemblance to living plants. We see this to be true in the “functional fruit juice” industry. Just like anything in life you buy, you must always choose wisely among the many types of Noni juice products both in retail stores and online stores. To begin, it’s best to have a simple basic knowledge of what natural medicinal herbs like Noni juice and how it works to produce positive effects when consistently taken over time. By definition, a herb or medicinal food like Noni fruit, is a plant material or liquid juice used to alleviate an unwanted symptom or overall health of the individual, thus Noni fruit juice is called a medicinal plant. Noni juice works with the body to achieve peak performance against a disease just like mainstream medicines do. Instead of killing germs, alternative medicines like Noni, seek first to enhance the body’s natural ability to fight off outside invaders and return the body’s primary systems to balanced health.